Today, I'll let you show some new WhatsApp's features. WhatsApp needs no introduction. Today everybody uses WhatsApp as it is the best communication app in today’s date. However, there are many apps which can be used as communication but they are not so popular as compared to WhatsApp. The reason for its popularity is its simple UI and just fast regular updates which WhatsApp gives to its more than 1 billion users. Those updates allow users to add more features in installed apps. Before 2018, WhatsApp usually used to give updates to their users once in 2-3 months but in 2018, Whatsapp developer team change its update criteria. Now they are giving their users some new updates at most every month. This was a fine news for users because now they don’t have to wait for months to see new features. But the problem is that most user ignores reading ‘What new feature is going to add on this update’, while they go to update the app in the APPLE store or GOOGLE playstore. This makes them unaware of new features and sometimes happens when such type of users wish “if WhatsApp had this feature if WhatsApp had that feature”. Since that user is actually wishing that feature which WhatsApp has already been released. So, this type of problem can also happen to us. To avoid such problem, simply keep reading that short description with tag ‘What’s new’ below update button. This feature allows users to more comfort with privacy. This comes when the user doesn’t want to show WhatsApp images or video in the gallery. 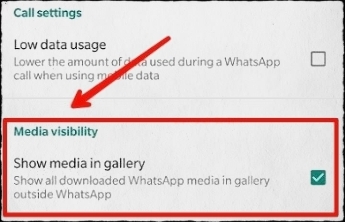 If this feature is enabled then nobody will able to see WhatsApp media like images or video when any friend or relatives visit to photo gallery. When this feature is disabled, WhatsApp videos and images can be accessed via the gallery. When enabled, no one can see WhatsApp images or videos directly via the gallery. To enable, go to Settings -> Data and Storage Usage -> Media Visibility. This feature allows the user to know whether the messages they receive are forwarded messages or self-typed by the sender. This feature does nothing more mentioning above the message. This is how it looks like. This feature is highlighted and important. With this feature, now only group admins are able to send messages. 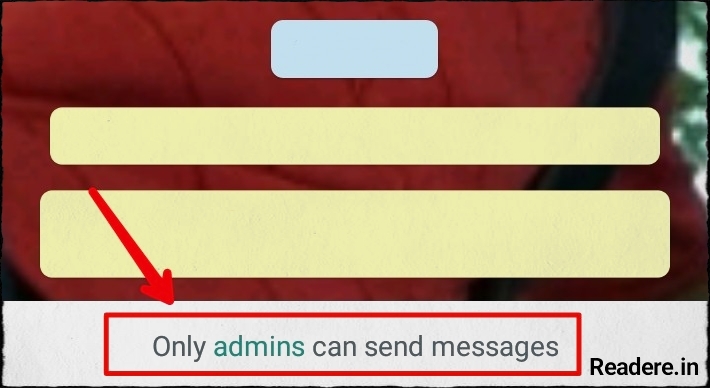 Participants are not allowed to send messages in the group when this feature is enabled. This has become useful where only important news or information are needed to send in the group and avoid posting unwanted links, images, jokes, and poetries etc. by participants. 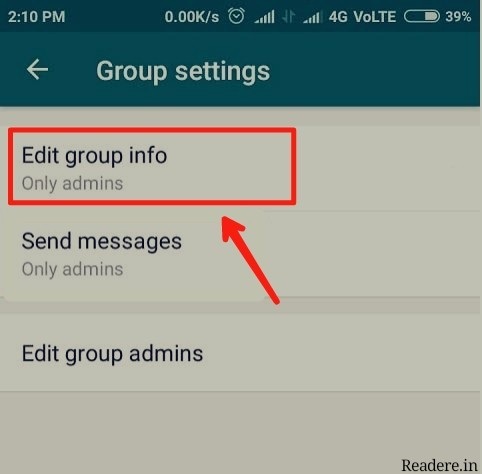 To enable, go to Group Setting -> Send Message -> Only admin. With this feature, nobody can change the group’s name, icon, subject, and description except group admins. This feature is also important and useful. It simply increases the group-stability. To enable this feature, go to Settings -> Edit group info -> Only admin. Only Admin can change group info in the updated version. 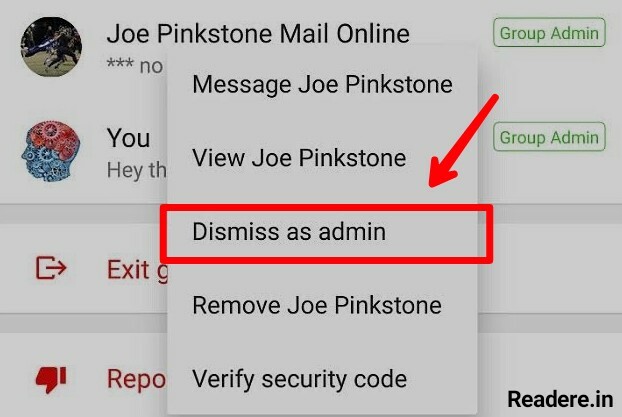 With this feature now an admin can remove other admins of the group or demote them back just to the participants. This feature has a limitation that other admins can even remove the original admin who actually created the group. Although this feature is cool and useful for users. 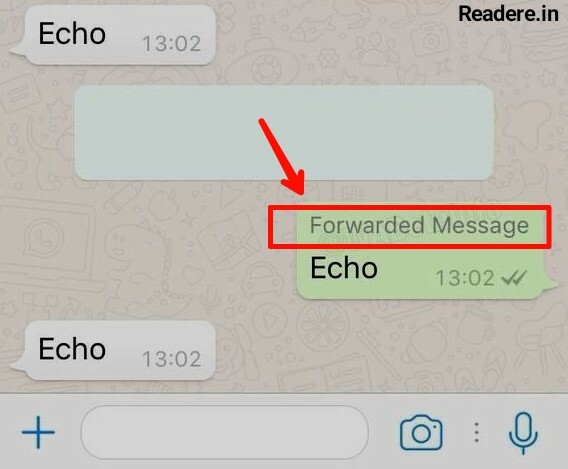 This is one of the best and cool features of WhatsApp released in 2018. As the title suggested, now users are able to make group videos or voice calls which is really cool somehow like Skype group video chat but the problem is that user can add members in group call only up to 4 participants at a time. This is really a little disappointing. Not very much but still. All things considered, WhatsApp did a really good job updating their group policies and adding new features which relieve us of the headache of all those spams, junk images, good morning messages, unwanted jokes and videos which actually disturbed the whole concept of group chat. There are still a few drawbacks and we are looking forward to WhatsApp for new updates coming up. How did you like this article? Drop a comment. Hey bro, I can't see the update about media visibility? Please try to update app. Hope you will find this feature there after update.